Several copies of the custom-packaged numbered 2007 European Tour Limited Edition DVD are still available and can be ordered here. 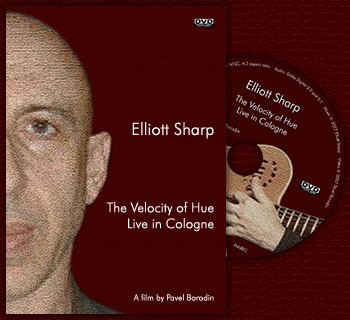 Elliott Sharp: The Velocity of Hue. Live in Cologne DVD is released by PanRec in both PAL and NTSC formats. The discs can be ordered here via PayPal at the price of 12.95 € including worldwide shipping. Within Europe payment can be made by wire transfer to my German bank account: Pavel Borodin, IBAN: DE62641500200002402008, SWIFT: SOLADES1TUB. Write your shipping address as well as requests for other payment methods and further questions regarding ordering to orders@pavelborodin.com.